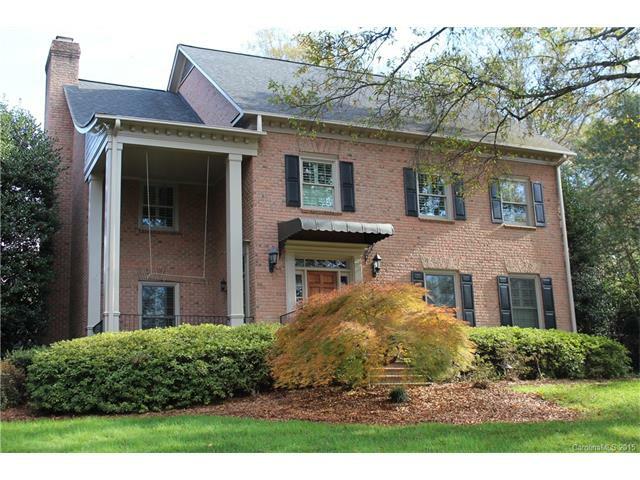 There is one more opportunity to own a beautiful home in Brookwood Hills. There were two new construction homes built here, but one has already been sold. The Howey Company is responsible for building these amazing homes, and you don’t want to miss out on the only one left. Located near Myers Park on a quiet street, Brookwood Hills is close to everything you need. There are restaurants, shops, pubs, country clubs, and parks all close by. An uptown commute will take around 15 minutes. The airport is about 20 minutes away for a business trip or vacation. SouthPark Mall is only about 4 minutes away and is great for world-class dining, shopping, and pops in the park as well as community events. Brookwood Hills is also zoned for great schools that are just minutes away. Current zoning is for Selwyn Elementary School, Alexander Graham Middle School, and Myers Park High School. All schools are top rated in the Charlotte area. Please verify school assignments with the school system in case of boundary changes. There are also many private, charter, and magnet school options nearby. For younger children, there are mother’s day out programs, daycare and preschools close by as well. Homes here don’t come on the market often, in fact only three have been up for sale since 2016 which includes the two new construction homes. Homes are grand in scale with the smallest being almost 4,000 square feet and the largest just over 5,200 square feet. The new homes include Thermador chef’s kitchens, open living spaces, main level master suites, and three car garages. They have four upstairs bedrooms each with access to their own private baths. Homes have bonus rooms, home offices, luxury features and much more. All of the finishes are high end and they support the large price tags at around $1.5 million. If you are interested in an amazing home in Brookwood Hills or any other neighborhood close by or in the Charlotte area, give us a call at (704) 525-4045. We will schedule a private tour of homes to meet your needs. You can view current listings and create custom searches on our website here. The monthly numbers are out from the Charlotte Regional Realtor Association. They gather the data from the Carolina Multiple Services and compare what is happening in the market now with last year at the same time. For four months, home sales have been down across the Charlotte region. It looks like this may be the new trend for the area. 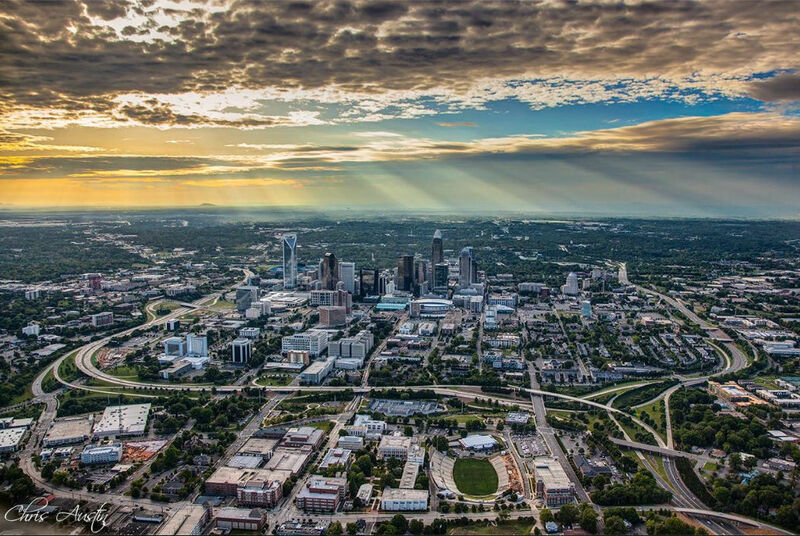 The Charlotte Business Journal reports that “another straight month of annual sales declines during the peak home-selling season shows “the cooling effect limited inventory and waning affordability are having on the Charlotte market””. The quote is from Jason Gentry, the CRRA President. If you look at home sales between last year (4,800) and this year (4,514), there is a decline of 6%. This is not what you typically expect at this time of the year. Home prices are edging higher as well with the average sale price up to $294,107. This is up 8.8% over last years $270,274. Pending sales are up 7.4% over last year at this time from 4,443 to 4,771. New listings were up 1.5% from 5,576 to 5,660. This shows that there is still strong interest from buyers despite prices rising. 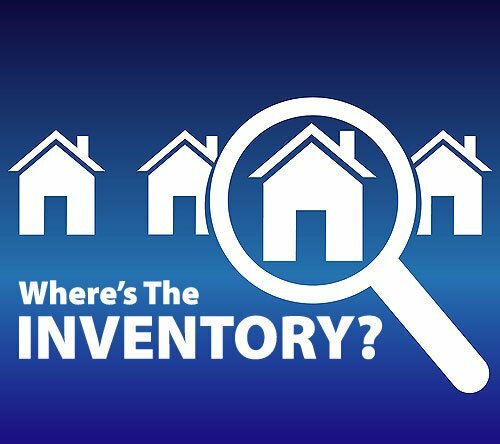 Inventory woes persist in the Charlotte market as once again the supply of homes is down year over year. There are currently 10,052 homes on the market, down 14.3% from last years 11,736. This represents just a 2.4 month supply of inventory, well down from the 4-6 months supply that typically represents a balanced market between buyers and sellers. Homes continue to sell at a faster rate than last year spending just 38 days on the market. This is down from 43 days last year, a decline of 11.6%. This means that buyers have to be pre-approved for loans and ready to jump on a home quickly after it is listed. If you are in the market to buy or sell a home in the Charlotte market, give us a call at (704) 525-4045. You can view current listings and create custom searches on our website here. Home prices rose again in July, and inventory tightened yet again, continuing a trend that we have been stuck in for some time. This makes first time buyers more hesitant to enter the market and keeps sellers from listing as they are afraid of not being able to find a comparable home. When you look at the numbers for the Charlotte region, average home prices were up 6.7% from this time last year. In 2017 the average sale price was $276,434, in 2018 it has risen to $290,486. 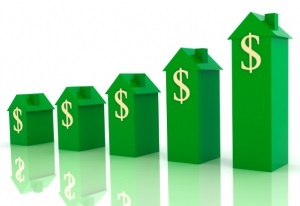 When you look at the longer trend, in 2012 the average sale price was just $219,867. In July of 2012 there were 18,228 homes for sale in the Charlotte region. This July, there are just 9,790 homes for sale. Those 9,790 homes represent a 2.4 month supply of inventory. This is well below the 4-6 months supply that would normally signal a balanced market between buyers and sellers. All of these numbers come from the recently released report based on data from the Carolina Multiple Listing Services. The numbers show that closed sales were down this month over July of last year by 2.8%. This is concerning as it occurs during what is normally the busiest time in the yearly cycle for sales. 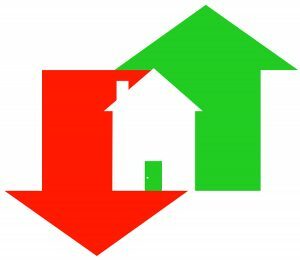 New listings were down 0.4% year over year which leads us to believe that the market is due for a further slow down. We will have to watch and see what happens in August to be sure if this is indeed the trend. Pending sales on the other hand were up substantially from this time last year. In July of 2017, there were 4,398 pending sales. This July, there are 4,947, an increase of 12.5%. If all of these head to the closing table, we should see a rise in sales for next month. It is taking less time for homes to sell once they are put up on the market as well. Homes are staying on the market for an average of 83 days from list to close. From the time of list until the sale is just 36 days. This means that buyers have to be completely ready to go when they find the home they want. If you are looking to buy or sell in the Charlotte area, give us a call at (704) 525-4045. You can view current listings and create custom searches on our website here. This should be a great market for sellers, but they are afraid of not being able to find a comparable home so they are reluctant to list their homes. This is coupled with builders not being able to keep up with demand either so inventory remains low. The monthly report numbers are out from the Charlotte Regional Realtor Association data compiled from the Carolina Multiple Listing Services. According to their report, there are just 9,554 homes on the market, down 17.2% from this time last year. This means that the Charlotte Region has only a 2.3 month supply of homes at this time. A balanced market between buyers and sellers is considered to be a 6 month supply. For comparison, in June of 2012 there were 18,700 homes on the market in the Charlotte Region, almost twice the number on the market in June of 2018. The average sales price of homes rose 5.7% from last June to this June up to $302,177. If you look back at that same report from June of 2012, the average sales price was $227,907. That’s a jump of almost $75,000 in just 6 years, almost a 33% rise in property value. The homes that are on the market are selling at a quicker pace than in years previous. In June of 2012, homes spent an average of 111 days on the market from listing to sale. This June, homes spent an average of only 36 days on the market. This means that buyers have to be able to act quickly to get a home right now. If you are ready to act quickly, give us a call at (704) 525-4045. You can view current listings on our website and create custom searches here. 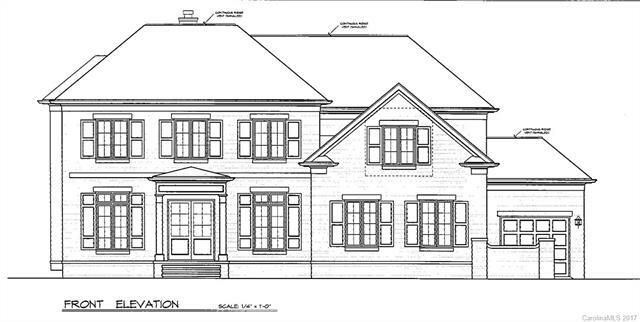 The competitive Charlotte housing market is continuing for yet another month. This is according to the May report from the Charlotte Regional Realtor Association. The report is based on numbers from the Carolina Multiple Listing Services. 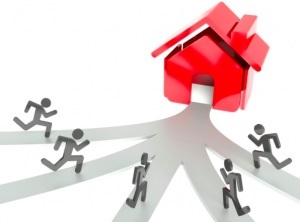 Limited inventory is one of the factors making the market so competitive right now. There are just 9,106 homes on the market right now, down 2,275 from last year at this time. This is a reduction of 20%. This means that buyers are competing for a dwindling supply of homes and new construction starts and new listings are not keeping pace with current demand. This lack of supply is even more pronounced in the below $350,000 range where the number of homes available has dropped more dramatically, even as much as 50% in some price ranges. 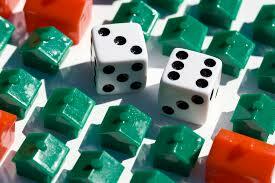 Another factor making the market a tricky place for buyers is rising prices. The average home price in the Charlotte region was up 10.7% from May of last year, up to $299,690. The median home price has risen 9.5% up to $245,000. These higher prices combined with lack of inventory are pricing some buyers completely out of the market. The buyers that can still afford a home can face additional challenges. They may have to wait longer for homes to come on the market that match their criteria, or they may face direct competition from other buyers in multiple-offer situations especially in the lower price points. These factors together appear to be slowing the market somewhat. There were 4.2% fewer sales this May than last May. Pending sales were up 9.7% and new listings were up 3.3% so this could be a dip for May only. It remains to be seen how long this tight market can go on before there is a correction. For now, homes are selling faster than ever with days from list to close coming in at 87, down 10 days from last year at this time. For now, it appears that buyers need to be able to act quickly. 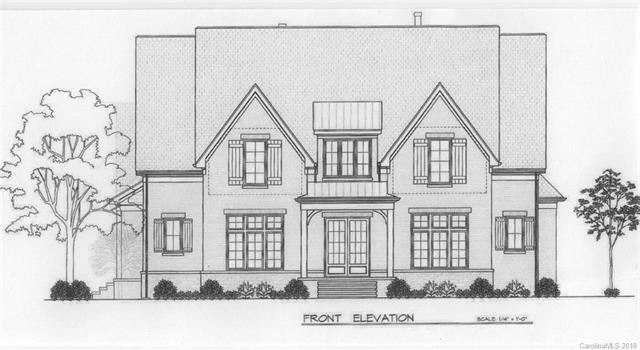 A new townhome project is coming to Myers Park and should be completed early in 2019. 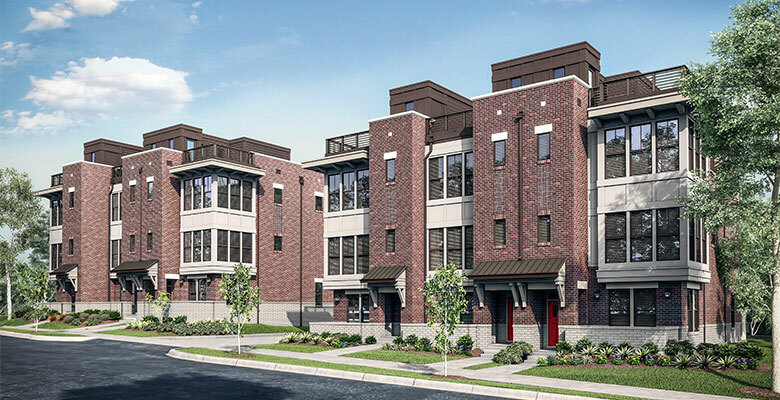 This exciting project has been named Myers Park Terraces and will include only 6 units. Sales are launching this week and they should go quickly. Myers Park Terraces are located at the intersection of Park Road and Reece Road. This great location will have residents across the street from Park Road Shopping Center and walking distance to many restaurants and vibrant nightlife in Montford. The project is also about halfway between Uptown Charlotte and SouthPark making a quick commute to employers in either business hub. Hopper Communities, a great local company, is the builder for the development. They have been behind many amazing communities in and around the Charlotte area including Cypress Landing, Fairington Oaks, Grandin Heights, and Southpoint at Southend. 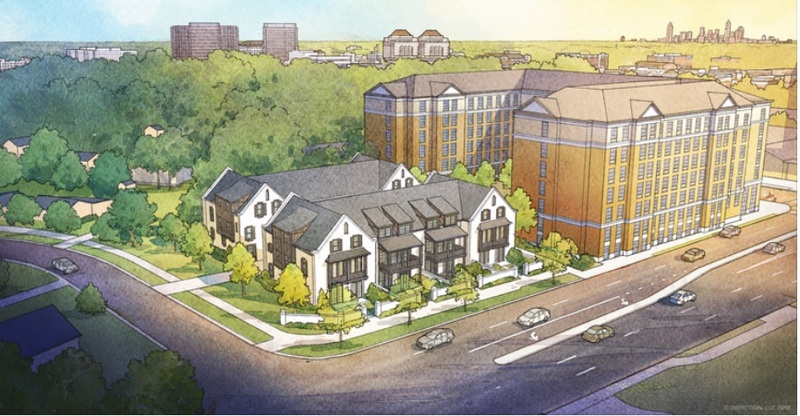 From what we know so far, Myers Park Terrace will consist of six, three-story townhomes. Each home will have between 2,070 and 2,127 square feet of living space. In addition, each will have a two car garage and a roof terrace. Each home in Myers Park Terrace will have three bedrooms in one of two different open floorplans. Features will include ten-foot ceilings on the main level, quartz counters, stainless steel appliances, hardwood floors, rain showers in the master, large kitchen islands and much more. The builder is also planning to include the entire Nest suite of home technology including Nest Thermostat, Nest Cam, Nest Hello, and Nest Secure. Prices are expected to start in the mid-$600’s. In addition to all the great features and the great location, Myers Park Terrace is zoned for top rated schools. Current zoning is for Selwyn Elementary School, Alexander Graham Middle School, and Myers Park High School. If you want to be one of the few people to get in on this exclusive community, give us a call at (704) 525-4045. Though Myers Park Terrace homes are not currently listed for sale, you can view nearby listings for boutique luxury townhomes and create custom searches on our website here. The story is much the same for the Charlotte region this month. According to data from The Charlotte Regional Realtor Association, home prices are still on the rise and inventory is still on the decline. The report data is based on information from the Carolina Multiple Listing Services Inc. When you compare year over year, inventory is the most striking with a decline of 22.6% from 11,008 homes for sale in April of last year to just 8,515 homes for sale this April. This means that buyers have fewer homes to choose from and prices are being driven higher by lack of supply. Both median and average sales prices are up for the region as well. Homes sold for an average price of $292,158 last month, an increase of 8.1%. The median sales prices was $240,000, up 7.4% from the same time last year. It appears that there are still buyers out there which means that we won’t soon see a reversal of this seller’s market. A seller’s market is generally considered to be a 4-6 month supply of homes, and in the Charlotte region we are sitting at just a 2.1 month supply of inventory. While this is great news for sellers, unless they are moving out of the region, it can be difficult to find a new home to move into. Pending sales were up 10.7% from last year which gives hope that there are still buyers in the market. Sales of homes were also up by 1.6% from last year. Homes also sold quicker this year than last, spending just 44 days on the market on average, down 5 full days from last year. New listings were up, though only slightly from last year, just 0.7% or 39 homes more than last year. This means that we won’t see the market begin to reverse just yet. 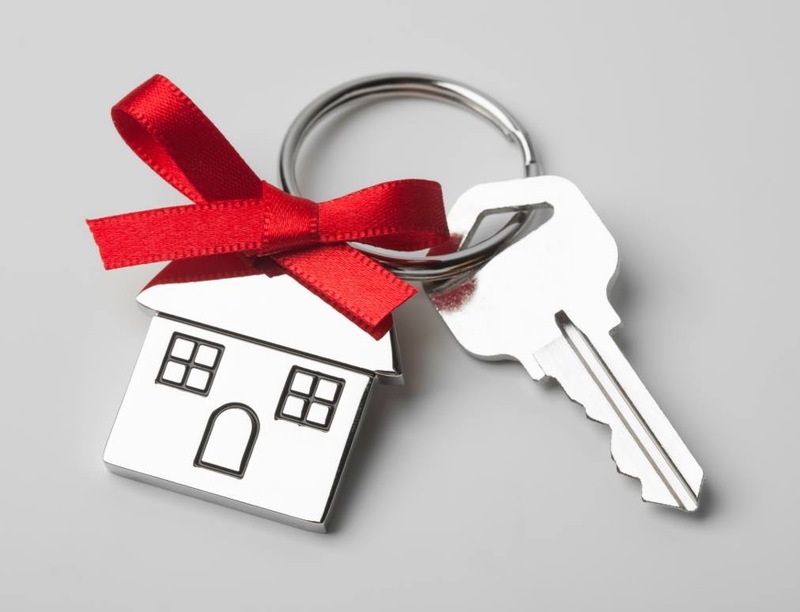 If you are in the market to buy or sell a home in the Charlotte area, give us a call at (704) 525-4045. We have the knowledge and expertise to help you through the entire process. You can also view current listings and create custom searches on our website here.